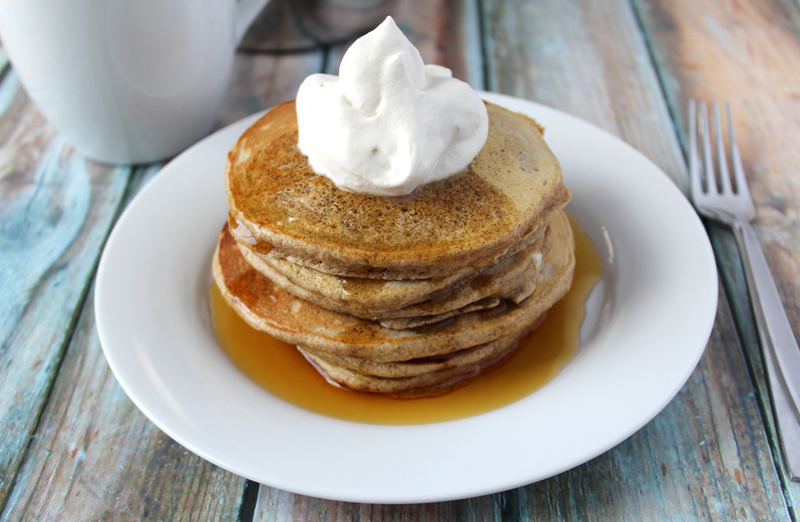 Today was my first experience with gingerbread pancakes, and I will let you know right now that it will not be the last, especially as we are entering the cold winter months! 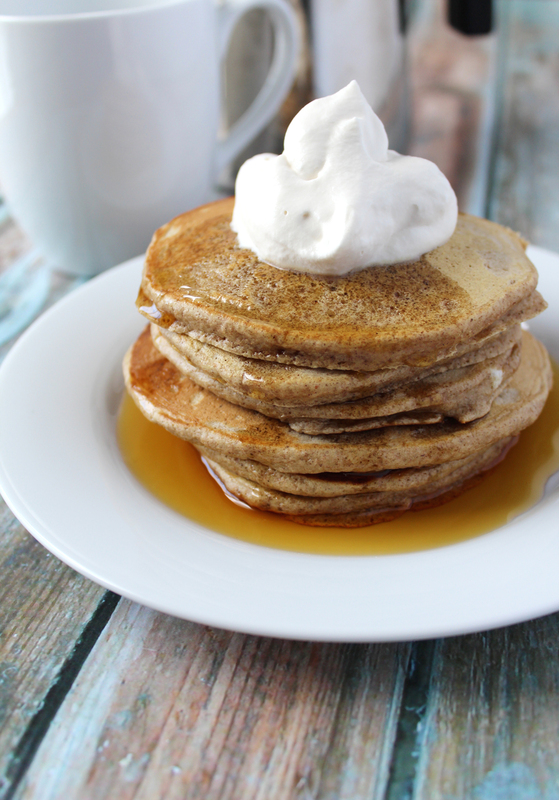 There is something about having homemade healthy gingerbread pancakes that made my day complete! I don’t know whether it was because the gingerbread taste to them was spot on, or because they were so light and fluffy. 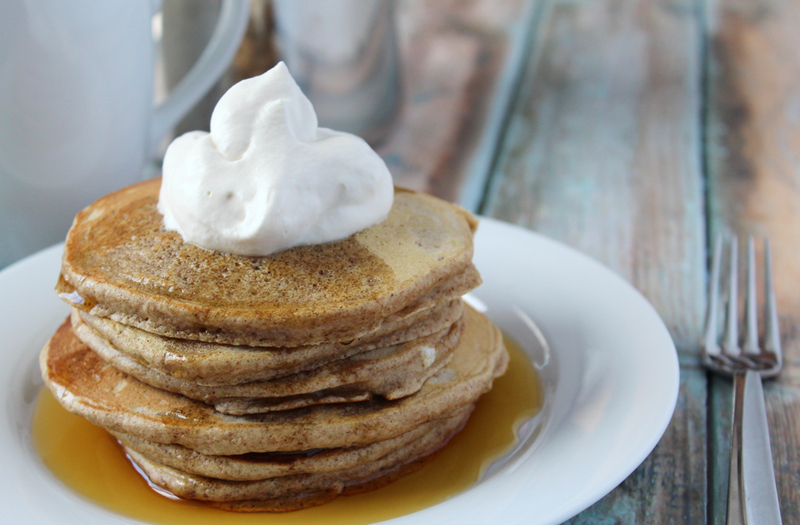 And if gingerbread pancakes aren’t your thing, you can always try these pancakes. 1. In a large mixing bowl, whisk together the flour, sugar, baking powder, and spices. 2. Now, add in the milk and egg, and continue to mix. 3. 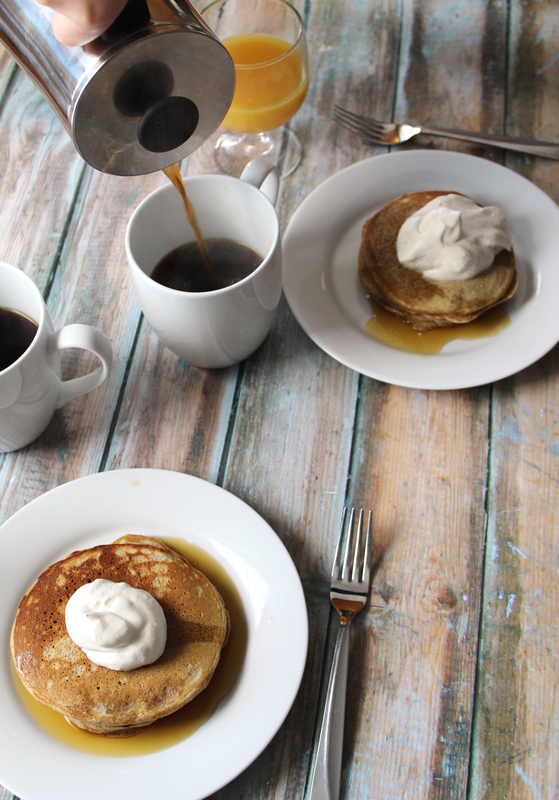 On a greased frying pan, pour the pancake batter with a 1/4 of a cup measuring cup, cook until bubbles being to appear on the pancake (1-2 minutes), then flip the pancake and cook for another minute or so. 4. 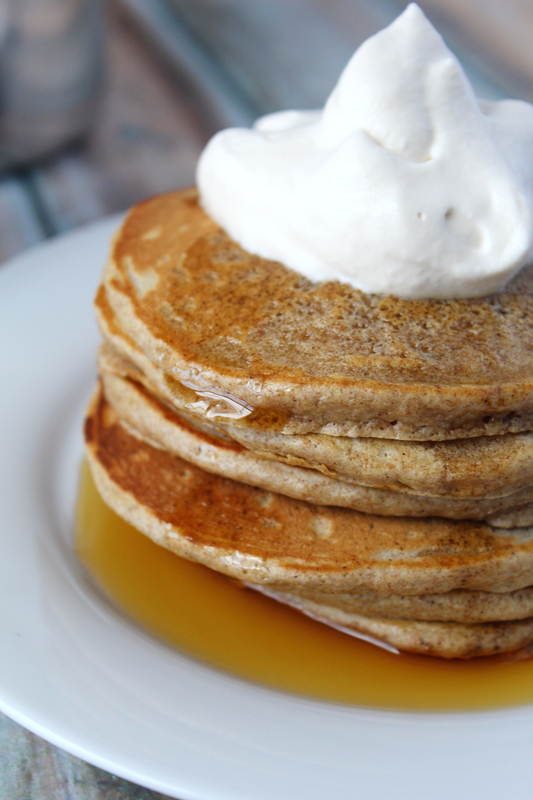 Enjoy with some pure maple syrup, and/or homemade whipped cream!